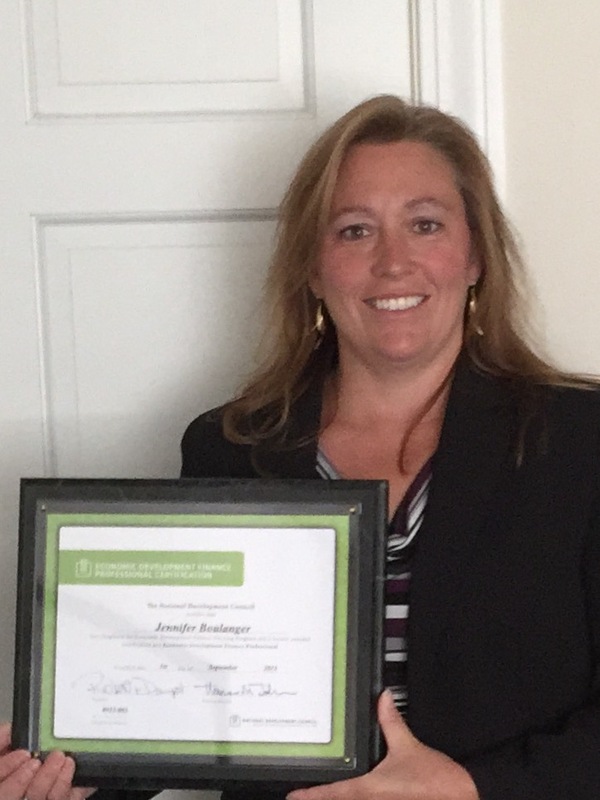 Jennifer Boulanger, CRDC Loan Officer recently received certification as a Economic Development Finance Professional (EDFP) from the National Development Council (NDC). Certification is a designation given to individuals who successfully complete an intensive economic development finance training series that is conducted by NDC. "This is an intense economic development program that we are very pleased Jennifer took the initiative to complete," said Stephen Heavener, CRDC Executive Director. "A certification from NDC provides Jennifer with further extensive knowledge to help our banking partners and customers with complex gap financing and economic development projects."